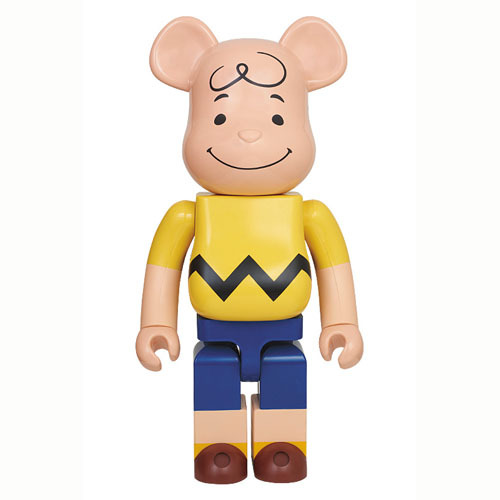 Medicom has sent along a photo of their upcoming Be@rbrick Charlie Brown 1000% Scale figure. This is part of their oversized, 1000% Be@rbrick line. These figures stand at 700mm (27.5″) tall. Yes that’s over 2 foot tall. Being that large, the figure comes at a premium price of 29,400 Yen (about $383 USD). After looking at the pic, all I can say is "Why?" It seems like this is only going to appeal to diehard Peanuts and/or Be@rbrick fans, especially given the size. 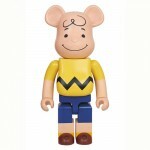 A 2 foot tall, $400 Charlie Brown bearbrick figure, ummmm ok. Like trebleshot said, Why? I never liked Charlie Brown, he always seemed like a cancer patient with his big giant bald head, and his pharnoia episodes talking to his dog and bird, and falling for the same damn trick everytime when he runs to kick the football lol. this is perfect for a vinyl collector, charlie brown collector, but for the modest consumer this is a major pass. I could see people paying $400 for a cartoon representation made of vinyl that looked lifelike and was in scale, but to me sometimes no matter how good the paint apps are, if the object the paint is covering doesn't look right or fit the paint scheme then don't bother going into production. To me this wouldn't of got off the design desk, let alone hit production.